A brand manager launches an aggressive price promotion with the goal of boosting profits and sales. Could his plan increase demand for the entire product category as well? It may, but not for long, concludes Kellogg School Assistant Professor of Marketing Vincent Nijs in an award-winning paper published in Marketing Science. Researchers have long been interested in the impact of price promotions on brand choice and brand sales, but have paid far less attention to the effects of price promotions on entire categories of goods, even though both manufacturers and retailers stand to benefit from category expansion. Nijs and his co-researchers examined the short- and long-term effects of price promotions on 560 product categories. They found that price promotions can indeed boost category demand, but that the effects tend to last no more than about 10 weeks. What’s a more effective way to bring about a long-term increase in category demand? Successfully introduce a new product, Nijs says. 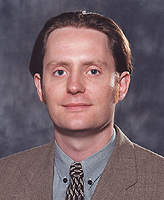 The paper, which was based on Nijs’s doctoral dissertation, received the prestigious John D.C. Little Best Paper award in 2002. The award is bestowed annually on the most impressive study appearing in Marketing Science or its companion journal Management Science. It also received the Frank Bass award for the best dissertation-based article published in Marketing Science. Nijs was the lead author of the study, which was co-written with Marnik G. Dekimpe of the Catholic University of Leuven, Jan-Benedict E.M. Steenkamp of Tilburg University, and Dominique M. Hanssens of the University of California, Los Angeles. Price promotions are less effective at increasing category demand in categories experiencing an influx of new products. Price promotions are most effective in perishable-good product categories. Competitors often don’t react to price promotions, either with price promotions of their own or increased advertising. A follow-up study to be published in an upcoming issue of Marketing Science further explores the ways competitors tend to respond to price promotions and advertising. This study confirms Nijs’s previous findings that the dominant response to competitive attacks is, in fact, no response at all. When competitors do respond, it’s often with an instrument that has no significant effect on their own sales. Of those brands that opt to retaliate, 37 percent promote ineffectively, while 76 percent advertise ineffectively. Nijs hopes that his findings translate into practical insights for business leaders, helping managers respond better to rivals’ advertising and promotions. If managers had “perfect information,” says Nijs, they could figure out the best strategic response. But because there can be “a lot of noise” in the marketplace, companies often cannot distill the true effects of their competitors’ actions. “ The data is available to them, but they have to let loose the relevant models on it,” says Nijs. Prof. Nijs is a marketing expert whose research includes study of the dynamic effects of marketing efforts, category expansion, cross-category demand dependencies, cross-sales effects, and competitive response. He teaches marketing research at the Kellogg School and serves as a reviewer for the International Journal of Research in Marketing. Representative publications include: “The Category-Demand Effects of Price Promotions”(with Marnik G. Dekimpe, Jan-Benedict E.M. Steenkamp and Dominique M. Hanssens) in Marketing Science, vol. 20, no. 1 (2001).